Our La Plagne Snow Report and Forecast 20 December 2017 suggests that the coming week will be a fantastic one for skiing conditions here. 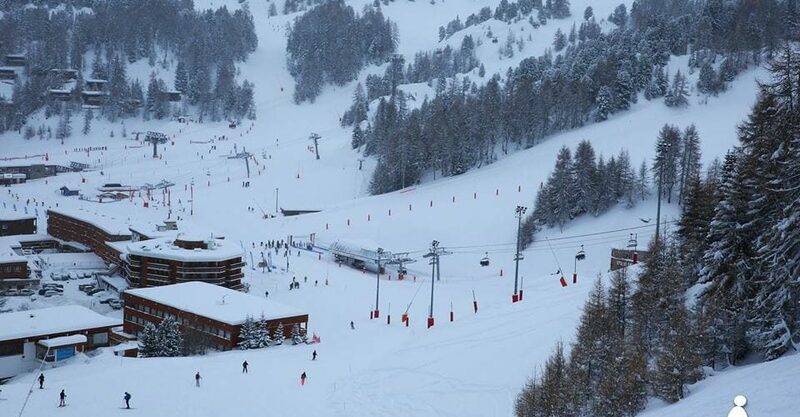 La Plagne has benefitted hugely from the snowstorms sweeping the alps lately, with up to 1.5 metres of snow said to have fallen over the last week or two. On the mountain as well as in the town, it’s looking much different to recent Decembers! The forecast for the week ahead is looking fantastic for those who are planning on some pre-Christmas skiing in La Plagne. You will be able to make the most of the recent snowfall with some great conditions and visibility. Sunshine and blue skies are forecast throughout the week, with temperatures rising ever so slightly. It will still remain chilly which will be good for the snow conditions, but may not be quite as cold as recent weeks. The video below was posted live to Facebook yesterday and demonstrates the conditions La Plagne is expecting throughout this week. En direct des pistes: le soleil, la neige, tout y est !